I got to start off the weekend in a happy place with the news that I had won the Grand Prize at the Digital Delights Blog Hop!! Woo hoo...lucky me. 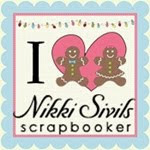 I had such fun hopping around and checking out all the blogs. 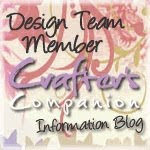 I am a faithful follower of Marlene at http://disguisedasagrownup.blogspot.com and she is on the design team at http://digitaldelightsbyloubyloo.blogspot.com . You should check them both out. Marlene and Digital Delights!! Marlene is talented and hilarious and Digital Delights is tons of fun. On to other things.... 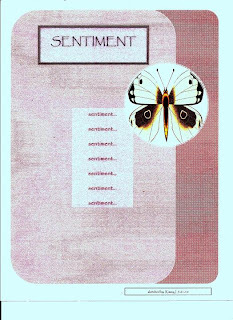 Yesterday I made a few cards that I want to share with you. They were both for challenges over at Sketches4you. The first one is my XOXO card that I made for Fia's SGOTM card color challenge. I was inspired by my new Cricut cartridge that my sweet friend, Denise, sent me.... Paisley Cachemire. (she rocks!) And I was just playing around with scrap paper (which happened to be pink) and liked what I was cutting out so decided to just make another card for Fia's challenge. I like it... mostly....I am not thrilled with the Vintage Photo Distress Stickles I added...wish I had used Crystal instead...but what the hey....not a bad try. I hope you are already having a wonderful weekend. Happy Friday! I was busy this morning working on these two layouts for Sketches4you. They are both from a challenge that Fia has going on that is to Scraplift a layout from the gallery at S4U and then give the original person some scrappy love and say why you picked their layout. Well, I couldn't just pick one. 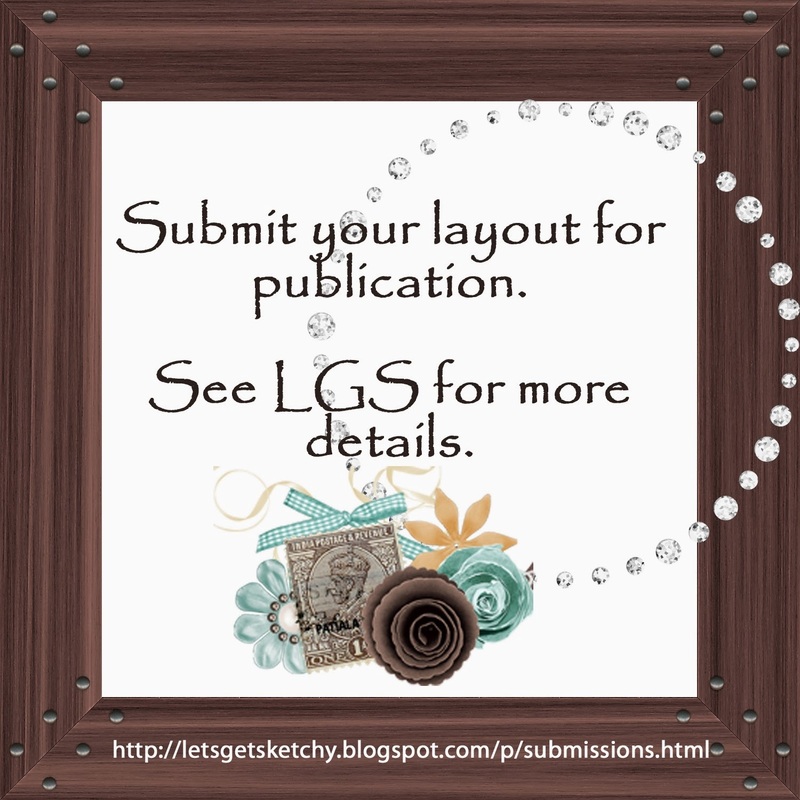 There are so many awesome layouts it was hard to narrow it to two!!! I stole from Christy her Chasing Daddy lo and turned it into my Shanggao Sisters lo. They aren't sister in blood but are both adopted from the same place at the same time. I just couldn't resist that sun! And she really made it look fun and appealing to try to recapture. I stole From Sharon her Scrapbook Kitty lo, which you need to go look at and dig on her cute cat! lol I turned it into my Beautiful Brown Eyes lo of my son, Riley. 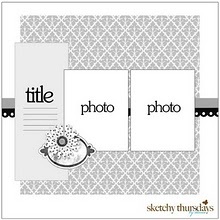 I was so drawn to all the detail on this layout especially the mosaic photo tag. I added a few elements like the stitching on the folded paper and couldn't resist adding one of my mom's crocheted flowers! Anyway, the challenge is ongoing at Sketches4you so you should go join in and rack up the final Scrap Girl of the Month points!! (and a RAK) And if you don't win this month don't fret because Fia will be having the Scrap Girl of The Month contest next month too. 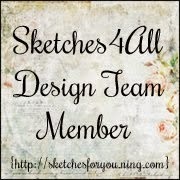 I also want to give a little scrappy love to my friend, Denise, who just joined me on the Sketches4you Design Team!! Denise is the best! And it is going to be so much fun!!!!!!!!! I really can't hardly wait until August 1st!! One of the first things she has done is start an Ink Challenge Group. 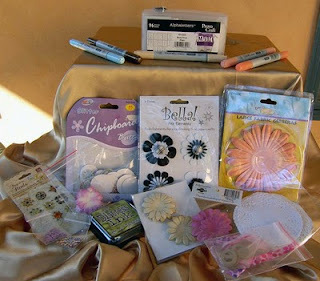 And with everybody on the Tim Holtz bandwagon...who doesn't like to play with INK!!?? This will be a spectacularly fun and current challenge to do twice a month. So come and check it out! I hope you all have fun weekends! Here is a layout I made yesterday for two different challenges. One is the Compendium of Curiosities Challenge at Studio L3 http://studiol3.blogspot.com . It was the challenge on page 55 of the C of C book, "Tinted Vision Fragments". It was super fun to do. I did the 3 fragments on the left. Check out the book for instructions on how to do this cool technique. 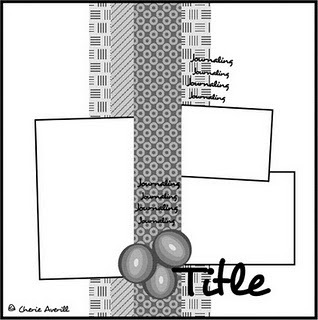 I also made this layout following a Liz Qualman sketch for a sketch crazy challenge by Fia at sketches4you. It is her 3rd sketch challenge this month. And the sketch is beautiful. I changed it up a little to add the C of C embellies I made but I think they add to it. Enjoy and have a great day. How is everyone today?? Feeling chipper and ready to scrap??!! But I guess sometimes we have to make lemonade out of lemons. I have been making cards lately. While I was on vacation it was just the easier thing to make and still satisfy my need to be creative. And it was an easy thing for my kids to work on too. I'm new to it so don't be too harsh in your criticism and give me a little time to get better and better. Here are 3 cards I made. One was for a card sketch challenge at Let's Scrap! I just love their site. All the girls there are fun and interesting and so talented. I tried out Perfect Pearls powder on it and like how it turned out. As always it looks better in person...I'm not the best at photographing my stuff. I entered it over in their challenge. 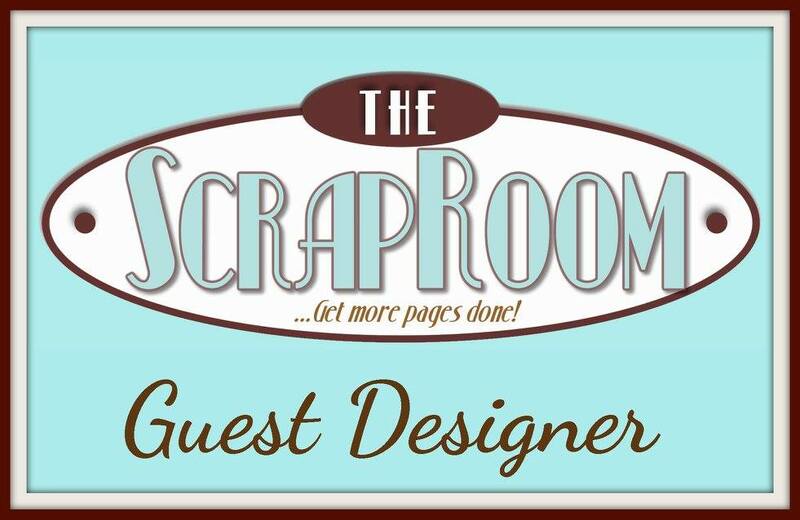 Fia over at Sketches4you is running a month long Scrap Girl of the Month contest and has added challenges all month to earn points. I really love the card that I made for her challenge to use a puzzle piece on your lo or card. I'm sure you aren't supposed to say you love your work but this card just calls to me and came together so perfectly. And I agonized over what to make with a puzzle piece for so long! lol Anyway I just like it and hope you do too. Last is my Christmas card I made for a card challenge by Dannette at Sketches4you. She posted the challenge late at night and I happened to be up scrapping so I immediately made a Christmas card to go with the sketch. I did a Christmas theme because I could combine it with another challenge there by Brenda to make a Christmas card with sparkle. (and I have just been in a Christmas card making mood. ha) Don't you love when things come together?? Everyone get out there and have a great day!! Gini at Beadz blog http://ginicagle.blogspot.com/ is offering blogoversary candy!! You better rush over there because it looks SWEET!! Happy 1 year GINI!! I was busy scrapping this last weekend and I must say I am happy to be home in my familiar crafting area. It makes a big difference. 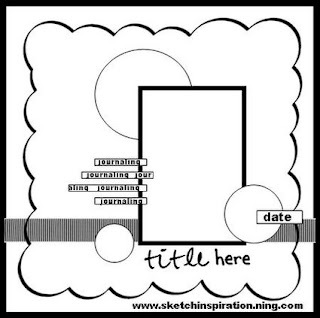 I used the sketch challenge inspiration from Practical Scrappers for the My Sweetie G layout. I thought the summery papers were perfect for this picture that was taken at a beach house in the Gulf (before the oil spill started). 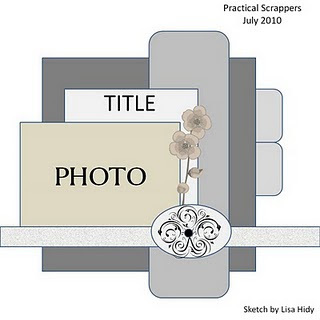 I did my second layout following the Sketch Inspirations sketch challenge and it actually meets this weeks Practical Scrappers challenge to use 7 or more items on a layout. I used card stock, brads, flowers, ribbon, stickles, patterned paper and stickers. So I am entering this one in both challenges. Yesterday I was busy with the kids and didn't get any new scrapping done. I was in the mood but just didn't get the opportunity. Hopefully today! http://www.letsinkitup.blogspot.com/ Let's Ink It Up is a new challenge blog starting in September and they are trying to get ramped up by offering this yummy blog candy to help get followers on their new site. They will be drawing from the first 100 followers...so if you are interested rush on over and join up! Sounds like a fun blog to me! http://pinkninjaaddicts.blogspot.com/ The Pink Ninja Addicts are at it again. They are having a blog hop and featuring Miss Tanisha. They are offering some fun candy so you should go hop along. Two Posts in One Day! 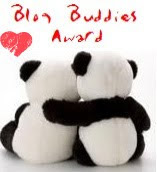 And that sweetheart has given me an award!! Aren't I lucky to have a sweet friend like her?? Hope you are having a happy day too. This was fun to make. I love the colors in the papers I used. And I used a new sewing hole punch stencil which was super easy to use and made hand sewing on the layout easy as pie. I used the simplest stencil but I am sure the more complicated ones will be easy too. I have been trying to make a few layouts to commemorate my husbands 25 year anniversary at his job. Here is my second attempt. He liked it. This morning my 4 year old has summer school so we got up at 6am (yikes) and my husband and mother in law are both flying away. My mother in law is going home and my husband is off on a business trip. So just me and the 5 little monsters this week! (jk - lol) Wish me luck!! I made a few more cards and wanted to show you. 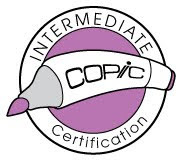 I have been hopping along on the bloghop at Colorful Creations this week. And one of their challenges was to use this cute cat digi. And here is my take on it. I actually combined it with a bloghop sketch challenge...which was a no no so I had to make another card for that. I made the squirrel card for Dannette's card challenge at Sketches4you. She didn't require squirrels (lol) but it was a sketch challenge and you had to use ribbon and a scallop. Fun. And then I made the bear card just because I wanted to use that bear stamp. I got it free and wanted to see how it looked. And since I never make cards that I have to "color", I thought I should try it and practice. I love the shape of this card. I had a good time making it. Well, I should be home or almost home from my drive my now...are you ready yet for me to be "live" again??!! If you read my post yesterday you will remember that my mother who is completely new to scrapping visited me and we made Christmas cards for a challenge at sketches4you. Here are her 3 cards. I think they are sweet. Brenda at Sketches4you is having a challenge now that is to make a Christmas card with sparkle. I'm not sure why I am so into this right now but it sure has been fun. You should get on the band wagon and come over and join in this challenge. Fun and easy. And there will be a RAK for the winner! 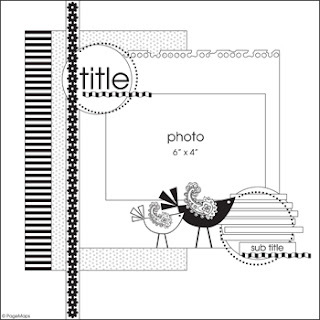 The layout I did was for Stacy R.'s Scraplift challenge at Sketches4you and I combined it with a blog hop recipe to use bling, bird and a song title for the title. (Stacy R.'s layout is the one with the mother and baby) I think mine turned out well and those cute boys of mine help make it so cute! I still haven't left to drive home. I had a headache and didn't get things packed and loaded in my car until after 4pm today. Too late to start out. So I will be up early in the morning driving. Wish me good travels and good weather!! Here is the layout I made for my Sketches4you Weekly Stash challenge. I had something else planned but had problems uploading the picture yesterday so I had to come up with a new idea. I did a ton of scrapping yesterday and I am going to feed them to you slowly as I drive back home...I am scheduling them to post while I drive...cool huh? Come do this challenge with us. It will be fun and I am giving out RAK to 2 winners!! 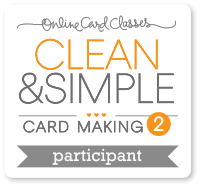 posted my new card challenge at Sketches4you. Here is my take on the sketch that I have made for inspiration. I hope you come over the Sketches4you and play along in this challenge. I will be giving away a RAK to the winner and you have until July 31st to post your creations. Just click on the link in the sidebar to the left. I am ALONE. (I know you should never post something like that but ....hey I'm ALONE and I am never ALONE! lol) All my kids (all 5) are either in Nevada with Dad or with a grandparent in Oklahoma and it is just me and the dogs here at the house....(at least for a little while longer). 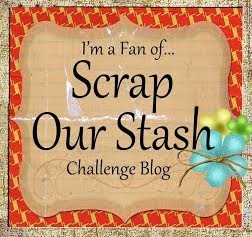 I am going to get off the computer and go into the scrap room and SCRAP! I have several challenges on my desk and time to do it. So here I go. Expect to see new things in the next few days ...even though I will be in the car driving back to Las Vegas! My mom's 71st birthday was last Thursday and my kids and I sat down and made her a few cards. It actually started with my son, Jesse, (10) going and making her a card and then bringing it to me to show me after the fact. 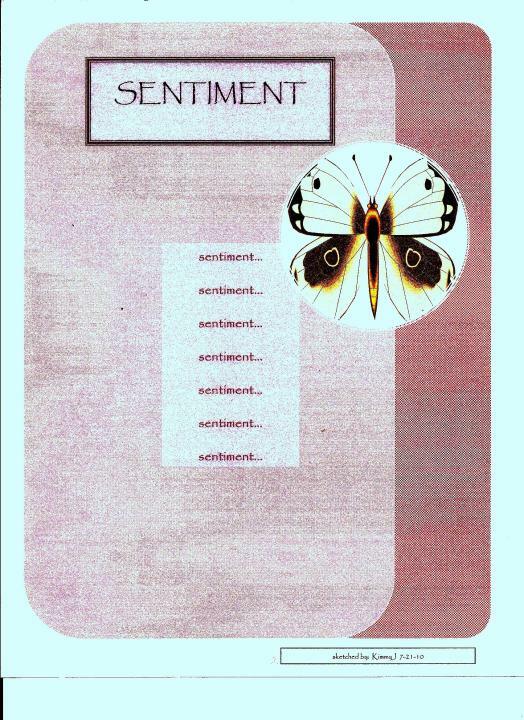 His is the Sending Love Your Way card. Olivia (8) and I worked together on her card. The card with the cake on the front. And then I made her the crazy Happy Birthday card with the hats on it. She also got a card from my cousin, Lisa, who cross-stitched her zodiac sign and then added it to a card she made. Mom was so excited to get this card in the mail! Sorry to have been missing for the last couple of days. Computer issues...but I did get a little scrapping done. 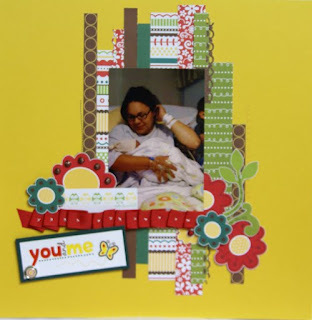 I did this layout for Sassy Lil' Sketches sketch challenge and then used my scraps to make the card for their card challenge. 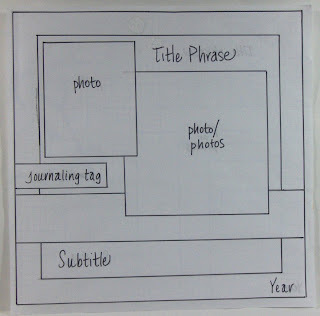 I even used the rest of the scraps and made a tag for Sketches4you. My mom had a birthday this last week and so you will all be seeing the "birthday hat" again in a layout soon. lol I also got a great shot of her and her 80 year old sister that I am definitely going to scrap in the next two days. My vacation here in OK is rapidly coming to an end. And I will be back home by this time next week. I am happy and sad. I am happy to get back to my familiar space but will miss all the family here. Hope your weekend is wonderful!! I guess it is because here I am posting another post. I made this late last night as I was waiting for my husband's plane to get in and for him to get home. I used some papers that I won in a challenge and a Sketchy Thursday's http://sketchythursdays.blogspot.com/ sketch and it all just seemed to come together quickly. I was going for a kind of grungy distressed dirty boy feel. And even though I put flowers on it, I think it works. What do you think? If you didn't already read my earlier in the day post. 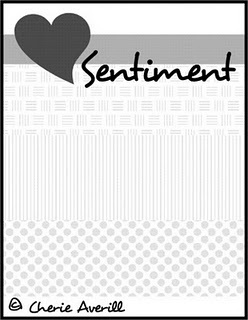 Scroll down and check out the cards I made for Sketches4you. I just love the colors of the papers I used. Fia is from The Netherlands and they were recently in the World Cup in South Africa. She made this color challenge for Sketches4you right after they had beaten Uruguay and landed in the finals! Unfortunately, The Netherlands was beaten in overtime by Spain in the Finals. 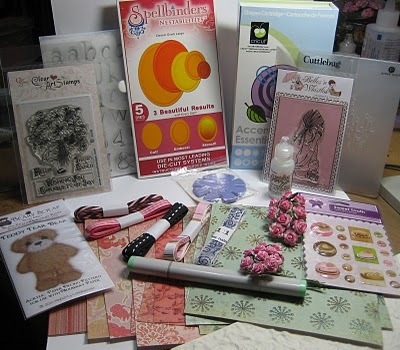 However, as sad as that is, there is still the color challenge going on and if you want to try to make a paper craft in these colors you can still enter it and get points to be Scrap Girl of the Month at Sketches4you. Which will get you a nice RAK! There have been tons of fun challenges and prizes given away so you should try your hand at a neat color challenge! I made these two cards. I didn't intend to make two I just had so much left over scraps that I just said what the heck and threw the 2nd one together quickly. I love the papers I used. The colors are so rich and compelling. And seemed to fit perfectly with Fia's challenge. Hello ya'll. 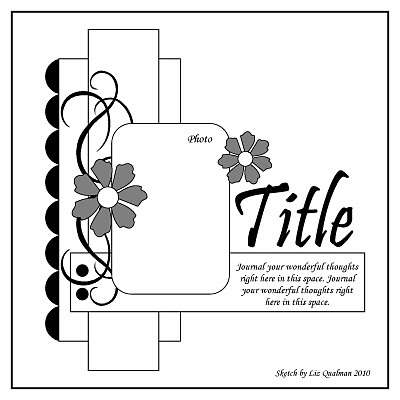 It's Tuesday and I am posting this layout that I made for Brenda's Monthly Challenge on Sketches4you. 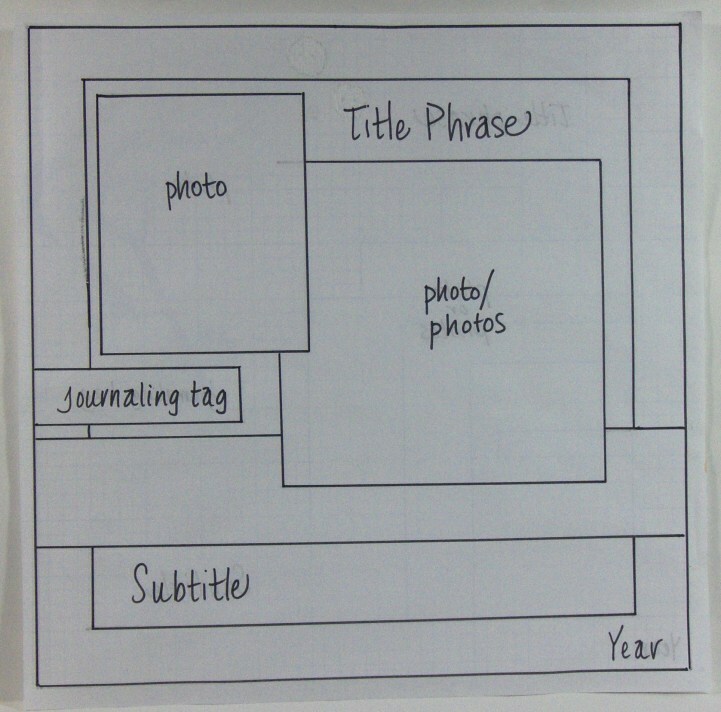 She made this great sketch and asked us to make a layout. So this is what I came up with. We were in the new kids petting zoo area of the OKC Zoo. It is really beautiful and we were there when they first opened the gates so it was actually pretty quiet and they were just getting ready to turn on the water fall and start the "river" flowing. That is why they are staring down at the water. We walked back by there on our way to leave the zoo and it was PACKED....not one inch of space in the place. So we sure go lucky going in there first. If you go to the zoo here in the summer you have to go super early or all you see are empty cages (since all the animals either go inside or hide in the shade and sleep. Mornings they are out and eating. Last time we went the kangaroos were boxing! The kids loved it!! !